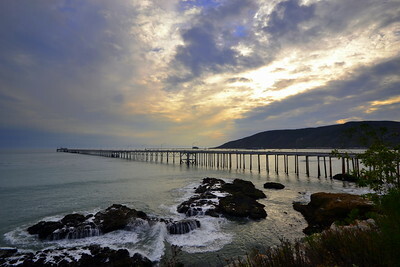 My favorite place on the Central Coast. Beautiful and rich with wildlife, harbor seals, sea lions, pelicans and more recently we were blessed with humpback whales visiting in the harbor. 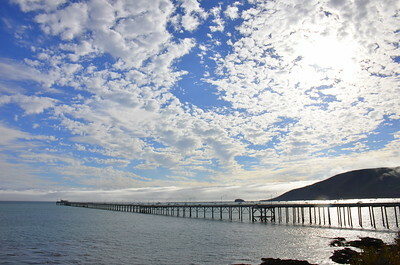 *More Avila Photos Located in the Animals Category - Whales in Avila. More photos coming soon! The name Avila commemorates Miguel Ávila, who was granted Rancho San Miguelito in 1842. 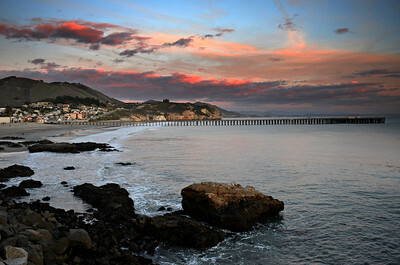 The town was established in the latter half of the 19th century, when it served as the main shipping port for San Luis Obispo. 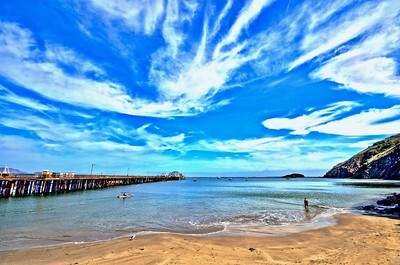 Although Avila Beach still has a working commercial fishing pier and the inland areas have extensive apple orchards, tourism is now the main industry. There are few historical structures remaining; among the oldest is the Point San Luis Lighthouse, built in 1890 after a series of shipping accidents. If you are interested in Stock Photography, the use of an image or wholesale greeting cards, please email me at vivkrug@gmail.com and I'll see if I have your image in my files and just not yet listed. 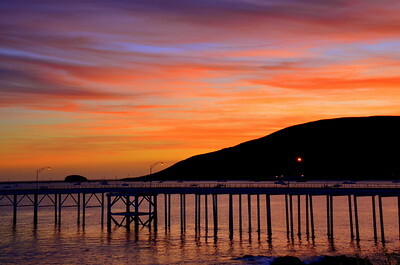 Beautiful Avila Harford Pier photograph using a neutral density filter. 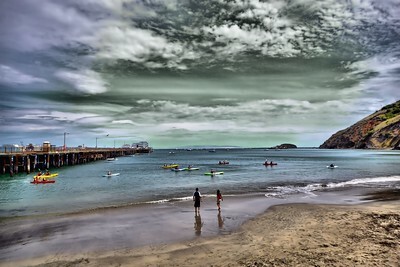 Avila Harford Pier Kayak Fun photograph with a touch of artwork! Although this photo isn't crystal clear sharp as there was a light god drifting in, it was still beautiful! 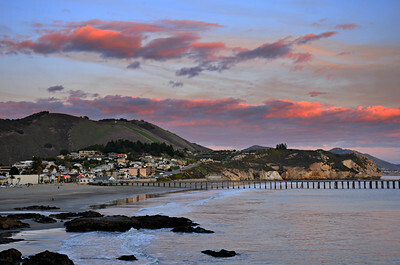 Bright Pink Sunset over the town of Avila beach and the Pier.